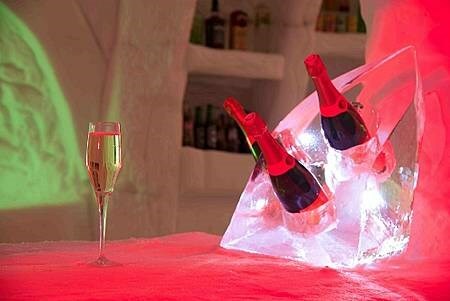 During your evening in the igloo, you can walk through this magical place and admire the snow and ice sculptures, then enjoy a drink or a traditional Savoyard meal. The Igloo bar and the ice grotto are also open daily from 10am – 4.30pm for an original visit between 2 runs, as well as in the evening, on reservation. 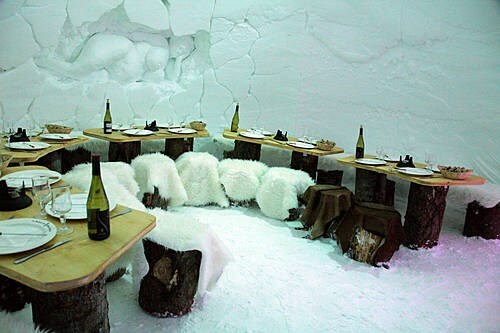 Dinner in the Igloo is the ideal occasion to enjoy a Savoyard meal in an Igloo, for an evening that goes from tradition to surprise. 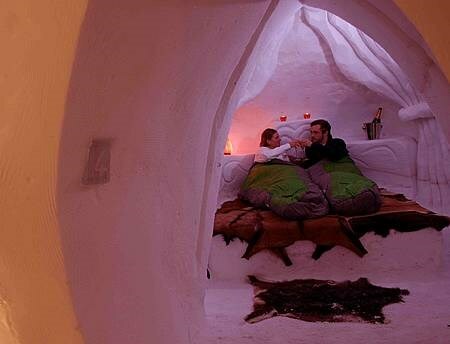 If you have always dreamed of spending a night Eskimo-style with the added pleasure of an aperitif and a typical Savoyard meal…it’s possible right next to Arc 1950! Each service is accessible on reservation only. 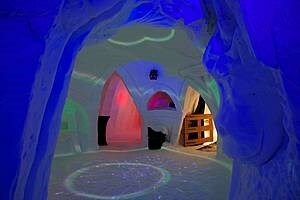 The meeting time for the aperitifs, dinners and nights in the Igloo is at 7pm in front of Arc 1950 Tourist Office.